One of the most common questions we get asked during our training workshops or 1-2-1 consultations is “How do I administer multiple social media accounts?”. For smaller businesses especially, there’s a fear and confusion over resources, time constraints and practical know-how. With the help of some well-chosen tools and a keen focus on how social media can support your business goals, you’ll soon be working your channels to the max. As a business grows, you need to put in systems and processes to lighten the load. Marketing automation software allows you to be more personal, enjoy meaningful engagement and respond quickly to customers that matter to you. Run your social media effectively and customers will love you. And, you’ll be able to use the extra time you’ve saved on other things! 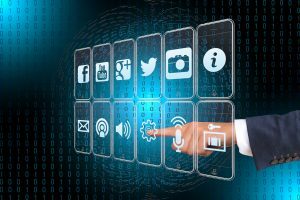 Using a single tool to run all your social media accounts makes sense, and there are some effective tools out there that will do a great job. You’ll waste less time logging in to each social account, and gain faster response times and more direct engagement with customers. You’ll also obtain an overview of your whole social media landscape, and be able to gauge sentiment towards the company and wider trends. We’ve picked out three industry-leading tools used by small and large companies alike to administer multiple social media accounts. Buffer is a simple, clean and intuitive tool with a single social media dashboard and scheduling for a variety of social networks including Facebook, Instagram, LinkedIn and Pinterest. Sharing, scheduling and responding to posts from a single dashboard lets you focus on the important conversations. Tracking what worked best hones your skills and improves your engagement rates. A browser extension makes it easy to share other people’s content, and there’s even a built-in photo editor to add visual interest your streams. Buffer works on a ‘Freemium’ model, meaning it’s free to manage up to three social accounts (each with 10 scheduled posts at any given time). After this, expect to pay $15/month (approximately £11.50). If Twitter is your main social media platform of choice, you can manage multiple Twitter accounts from a single browser with Tweetdeck. Using a simple column layout, you can watch searches, lists, hashtags, mentions and followers in real-time. There’s a bunch of time-savers to be found here, such as being able to send a tweet from multiple accounts, and follow other Twitter users from several accounts at once. You can schedule, see notifications and alerts, work with other team members and share information. Overall, you get a great overview and controlled visibility. And, the best thing about Tweetdeck – it’s completely free! Hootsuite is a popular and comprehensive social media tool. Customise what you want to see and it can work very well indeed. Schedule a post across multiple platforms using the calendar view with its drag and drop functionality. Interact with followers directly, mark and share interesting content, and assign tasks to team-mates to share the load. Create and monitor Twitter lists with ease, using filters and alerts to ensure you never miss a thing. One great advantage with Hootsuite is that you can track trending topics in your target areas, keeping you bang up to date. Like Buffer, you can manage up to three social media profiles for free with Hootsuite. If you need more, the ‘Professional Plan’ starts at £25/month; so, it’s not exactly cheap, but it does come with some features that we love. Disclaimer: we’ve been a Hootsuite paid user for years now, and often give training workshops on how to use the platform. We’re also official ‘Hootsuite Ambassadors’. Regrettably, this is an unpaid role. But, we can’t help sharing the tips and tricks we’ve learned over the years about how to make this platform really work for small businesses! Social media automation doesn’t mean social media duplication. Tools such as Buffer and Hootsuite allow you to manage multiple social media profiles, and increase efficiency. You may be tempted to cut corners further by simply duplicating your social media content (posting the same thing) across multiple platforms. We strongly advise against this. Twitter is now cracking down on this practice, and isn’t allowing duplicate tweets. But, it’s also the wrong thing to do from a business perspective. All social media channels differ, so your content should be tailored to each of them. Why limit what could be a brilliant Facebook post to 280 characters and four images? This is what will happen if you simply duplicate your tweet onto Facebook (and that’s not to mention all the broken @tags, #hashtags, and annoying links required just to even see the pictures). The audiences that use each platform are different, too. Your #funfriday post including a cat video might not go down so well on LinkedIn, so be careful about selecting all your profiles and hitting send! Administer multiple social media accounts with these handy tips. All the tools mentioned above have a free version, so try them out and see what works best for your business. If the task still seems a bit daunting, don’t panic – give us a call. You can streamline your processes today by speaking to the NS Design team or signing up for our next social media workshop.